The Town of Tecumseh is planning a public meeting on the proposed Lesperance Road Bike Lanes. The Town of Tecumseh is proposing to remove the bidirectional centre turn lane located on Lesperance Road between McNorton Avenue and Riverside Drive. 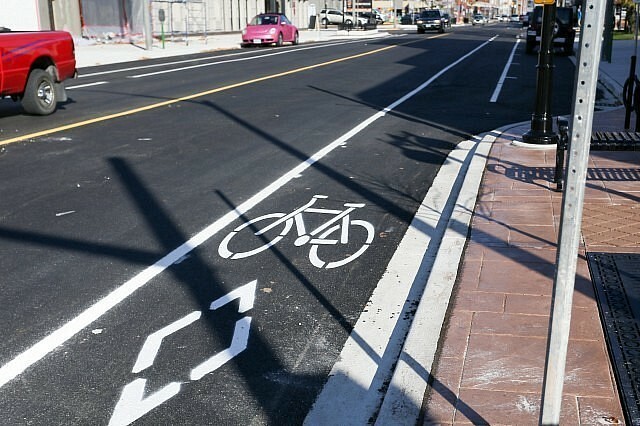 The removal of the turning lane will be replaced with a reconfigured road cross section which will include provision for delineation of bicycle lanes as well as through traffic. The project will include removal of existing line painting and replacement with new markings. The meeting takes place on Tuesday, February 12th, 2019 from 5pm to 7pm. Anyone wishing to appear as a delegation at this meeting must register with the Clerk’s office at 519-735-2184 ext. 139 or [email protected] prior to Tuesday, February 5th, 2019.